Hello and Welcome to Warrior Cats: the Adventure! We're just another Warriors website, where you can roleplay, chat and make friends! All the Site Updates here. Post ideas you have here. Please read the rules before you even do anything. Need help Creating a Warrior? Here is the place to ask. Here you must post your Warriors and get them approved by StarClan Leaders (Thunderpelt) or StarClan Deputies before posting Them on the Cats of the Clans. Clan Leaders or Deputies must also accept you into their clan. Talk about the Warriors Book Release Dates and such. Talk about Into the Wild, Fire and Ice, Forest of Secrets, Dark River, Rising Storm and The Darkest Hour. Talk about Midnight, Moonrise, Dawn, Starlight, Twilight, and Sunset. Talk about the newest Warriors arc. 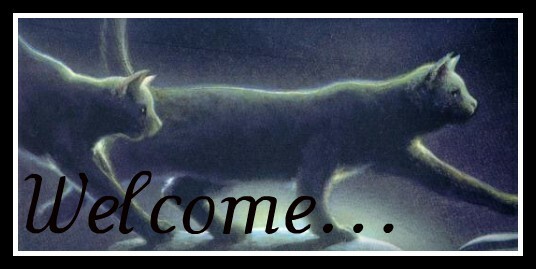 All the RP for ThunderClan is here. The place where WindClan RPs. The place where ShadowClan RP. The place where all SkyClan RP. Where dark forest cats roleplay. Where loners and rogues RP.